Living in apartment in NYC is different to living in a house in the suburbs or in a country town, so it is not surprising that what families need from their strollers is also different. When you have to carry your stroller up and down stairs to get into your home or down to the subway, practical considerations suddenly become very important. – It is suitable from birth if you use an infant car seat. The most important consideration in a stroller for families who are going to be using a lot of stairs is the weight and size of the stroller. Here are our best choices! For moms on the move, it is hard to beat the UPPAbaby G-Lite Stroller. This stroller is as lightweight as they come at only 8.8 pounds which makes it a great choice for the best stroller for city living. It has a strap to enable you to lift the stroller up one handed, so it is ideal for when you need to carry both your baby and your stroller up and down stairs. The stroller steers very around the streets and has a large storage basket underneath for carting shopping (and baby essentials of course). The sun canopy also offers decent protection from the sun. The downside of this stroller is that it doesn’t recline, so this stroller will not suit a young baby. Read our full review of the UPPAbaby 2015 G-Lite Stroller. 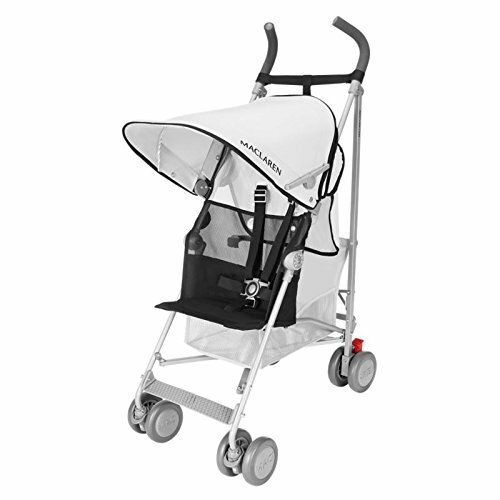 It is our top choice for the best umbrella stroller for NYC. Click here for the latest prices of the UPPABaby G-Lite Stroller. Lightweight strollers are not hard to find but in terms of finding a quality product, with the peace of mind of a big name, you might struggle. If you look towards this particular stroller however, you are getting everything you need, because this is a seriously lightweight choice, with lots of added extras. The midnight blue shade is classic and timeless, and the rest of its appearance certainly goes along with that. The design of the frame gives it serious strength, hexagonal in shape to make it different to many other brands, and the stroller overall is very easy to manoeuvre and use, thanks to the one hand collapsible design. The cable braking system gives you peace of mind that your little one is safe on the go, and the seat itself is comfortable and spacious. There is also a large cover for keeping the adverse weather out, and a large storage compartment underneath. Like the sound of the UPPAbaby G-Lite but need a stroller that reclines? The G-Luxe is your answer. This stroller is one of the lightest available with a recline feature at only 13 pounds. Like the G-Lite, the G-Luxe is easy to fold and stands on its own. It looks modern and stylish. It also has a storage basket and large sun canopy. This is a great stroller for parents in NYC. 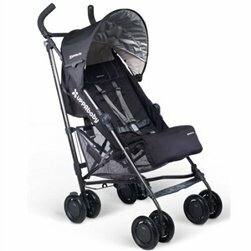 If you require a reclining stroller, this is our top choice for best umbrella stroller for NYC. Click here for the latest prices of the UPPABaby G-Luxe Stroller. The Maclaren Volo Stroller is another amazing lightweight option coming in at just 8.8 pounds. Like the UPPAbaby G-Lite, it also does not recline so is suitable from 6 months. It has a convenient carry handle. The Volo is suitable for children up to 55 pounds. It features a storage basket, sun canopy and meets the highest safety standards world wide. This stroller is another perfect option for subway stairs. 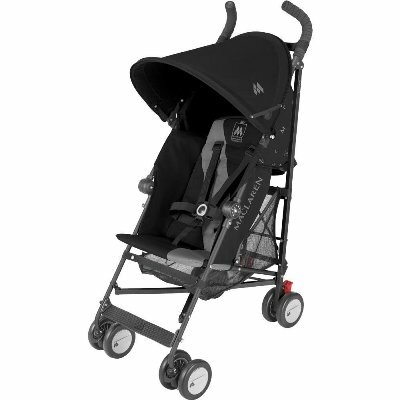 Click here for the latest prices for the Maclaren Volo Stroller. The GB Pockit Stroller is a great lightweight and compact choice to go for, with many added extras. The two stage folding mechanism is a major bonus, making it easy to fold down and open back up again, with minimal fuss. Once it is folded it stands on its own, so no worries about it falling over every five seconds! Overall this is a very useful stroller for travel regardless, because it folds up so small. 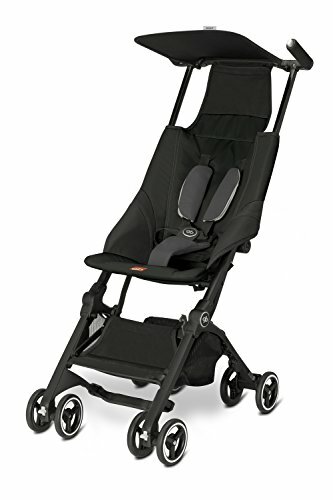 In terms of comfort and durability, the seat is padded and vented for ventilation, and the wheels are equally as padded, to give a smooth ride for your little one. 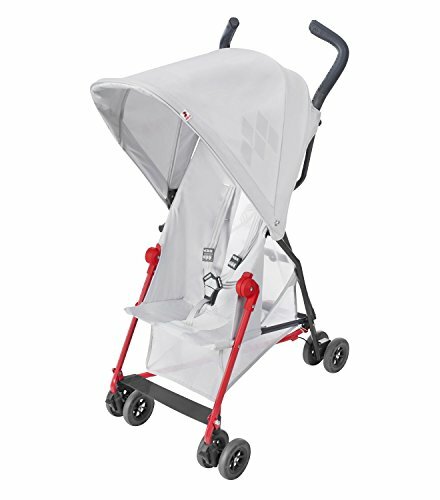 The Baby Jogger Vue Lite is a high quality umbrella stroller that weighs only 14 pounds. It is also a great choice for families that need a lightweight option. It has the bonuses of being suitable for a newborn with a full seat recline and can also have an infant car seat attached. It’s biggest feature is that it is reversible – this means the stroller can either face towards or away from the parent which is an amazing feature for a lightweight stroller. The Vue Lite has a quick and easy fold as well as a big sun canopy. This stroller is for families who don’t mind trading more weight for more features. 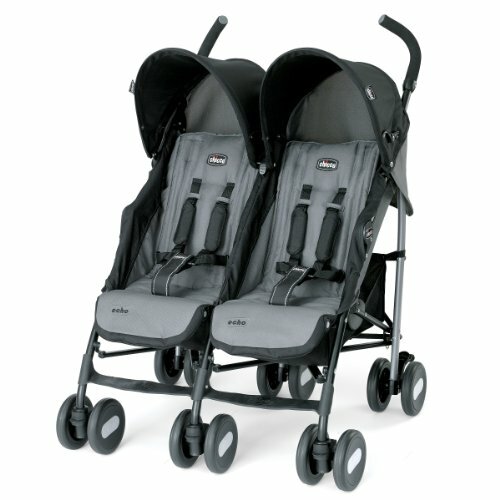 Click here for the latest prices of the Baby Jogger Vue Lite. At 22 pounds, the Baby Jogger City Mini GT is not as lightweight as the other options, although it is still a lighter stroller. It has an amazing quick fold, is very stylish and is a popular choice among NYC moms due to its maneuverability. It is great on sidewalks. 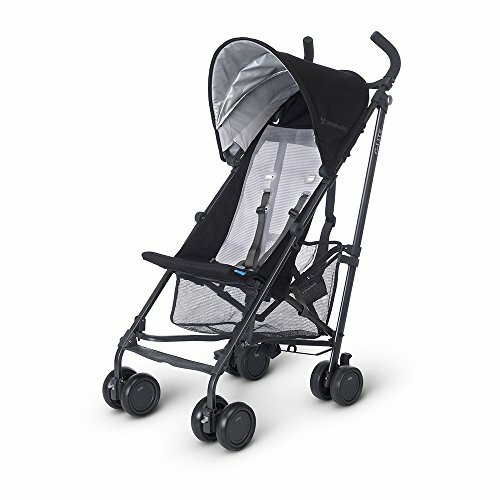 This stroller features a near flat recline, an amazing sun canopy and weather shield and a padded seat to keep your baby comfortable. The front wheel locks for long distance walking which makes this stroller extra handy for people who walk a lot. It is also suitable for all terrains. Check out other lightweight stroller options or some great tips for other subway friendly baby gear. Click here for the latest prices of the Baby Jogger City Mini GT Stroller. If you are looking for a lightweight, effective jogging stroller, this one is for you. The BOB range is huge, but this one is perfect for budgets and those who want a zippy, small stroller. The wheels offer comfort and control, with a swivel front wheel which locks for tight corners, and holds steady during jogging. The handle bar is padded and adjustable to nine different presets, and the stroller also collapses down easily with one hand, in a two step process, which offers no stress or hassle. This is a fantastic BOB option to go for, out of a very large range. If you are living in a small apartment, you may not have any space to store your stroller. If this is the case, the next best NYC stroller could be perfect for you. The unique design of the Babyzen YOYO is sure to catch peoples’ eyes, especially if you choose the pink option. The best part about this lightweight stroller is that it folds small enough to bring onto a plane as carry on – so there should be no problem fitting it into your apartment. You can even hang it like a purse on a coat hook or in a cupboard. This stroller also features an under seat storage basket, sun canopy, seat recline and 4 wheel suspension. Despite folding so small, it also has a comfortable, wide seat for your baby. Click here for the latest prices of the Babyzen YOYO Stroller. NYC is hard enough to get around without a stroller which is why picking a functional double stroller is so difficult. The streets of NYC are just not designed for strollers as large as doubles. But worry not, there are some double strollers that work – and work well in NYC. If you are looking for the best double stroller for NYC, the following three are our top recommendations for NYC city life. UPPABaby is one of our favourite manufacturers of lightweight umbrella strollers and they have another winner with their first double option, the G-Link. 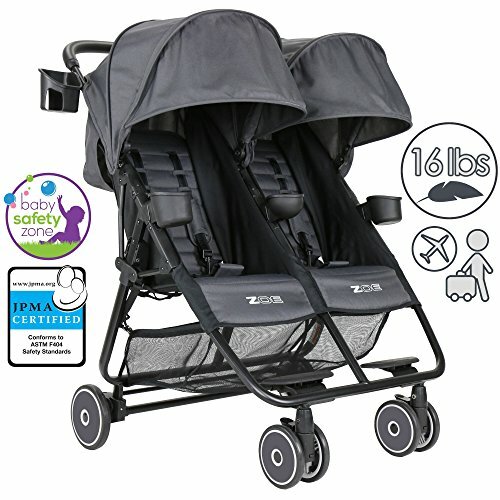 This stroller is great if you are looking for a lightweight double option that is only 30 inches wide so you shouldn’t have any problems with doorways. It also has a compact fold and weight only 24.5 pounds. One of the big benefits with this stroller as although it is a lightweight, double umbrella stroller, it features a deep recline so is suitable for newborns – even newborn twins. 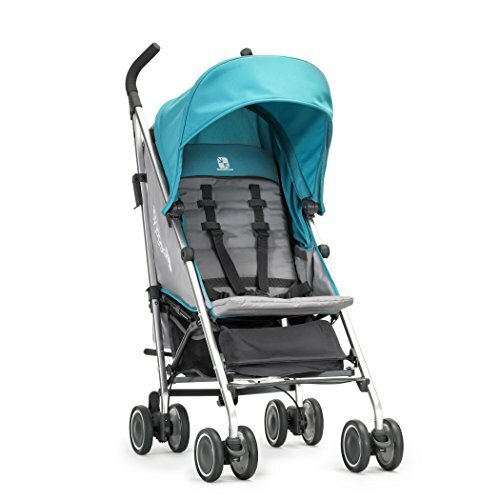 Click here for the latest prices of the UPPABaby G-Link Stroller. For a more compact double stroller, it is hard to go past the Chicco Echo Twin Stroller. It is one of the easiest double strollers for managing stairs and for when space at home is an issue. This double stroller also features a 4 point recline and padded seats. It has great maneuverability and front wheel suspension. Check out other side by side stroller options. Click here for the latest prices of the Chicco Echo Twin. The ZOE XL2 is the perfect choice if you are looking for a double stroller that not only looks good but is super lightweight at 16 pounds – perfect if you are going to be dealing with lots of stairs, the subway or you plan to travel. It’s also slim enough to fit through 30 inch doorways and has a nice, 135 degree recline, so although it’s not suitable for newborns, it’s fine for older babies and toddlers than need to nap. There are also many extra features with a good sized storage basket, cup holders, snack holder and a carry bag included. 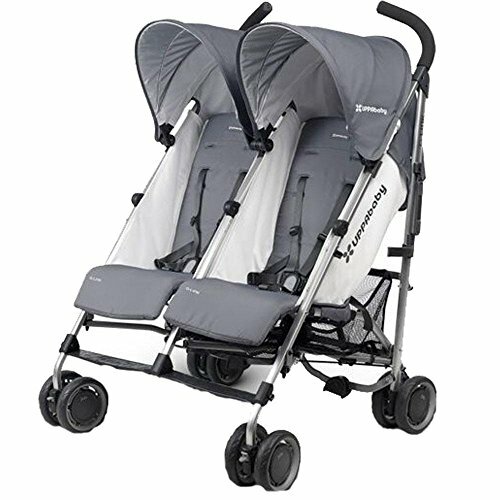 Click here for the latest prices of the ZOE XL2 BEST Xtra Lightweight Double Stroller. If you are looking for a tandem double stroller that is suitable for one or two children from birth, then the Baby Jogger City Select is a great choice. A tandem stroller is particularly a good choice if you are dealing with narrow doorways. This stroller can be set up in many different configurations with the children facing you, facing away or each other. You can attach infant car seats or a bassinet. Each seat has a multiple position recline and a multiple position sun canopy. This is one of the best double strollers on the market. Read our full review. Read more about choosing the best double stroller. 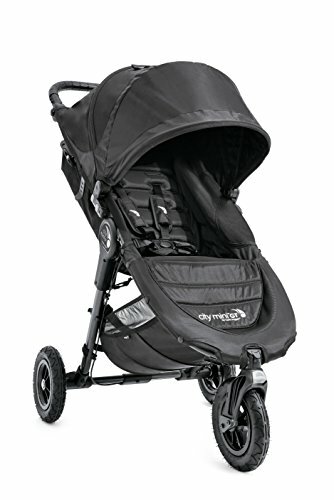 Click here for the latest prices of the Baby Jogger City Select Stroller. 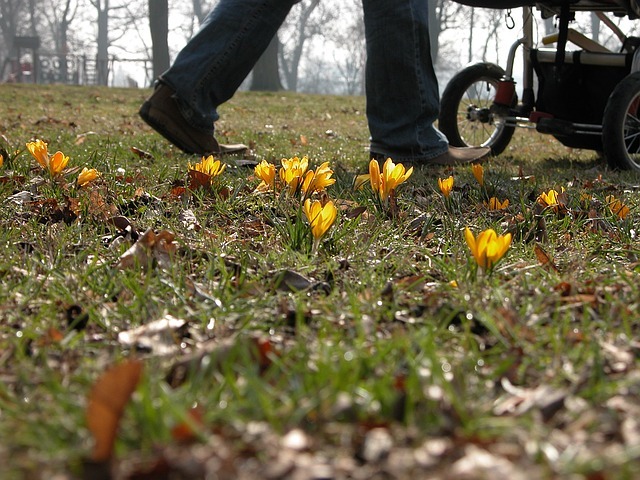 For parents who like to jog with their babies, there are many fabulous jogging stroller options. 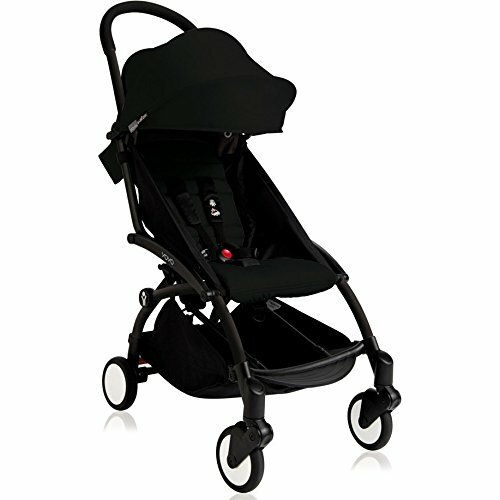 The following is our most recommended jogging stroller for the Big Apple. The Mountain Buggy Terrain Stroller is a superb choice for active families, especially if you want to save space in your home as it is suitable for both jogging and everyday use. It has a full recline so it is suitable from birth until your child is 77 pounds making it a great choice for best baby stroller for NYC. This stroller features great suspension and air filled tires guaranteeing a smooth ride. It is easy to fold and can stand while folded. There is also an adjustable harness, sun canopy and handlebar. This stroller is a highly rated, quality choice. Click here for the latest prices of the Mountain Buggy Terrain Stroller. 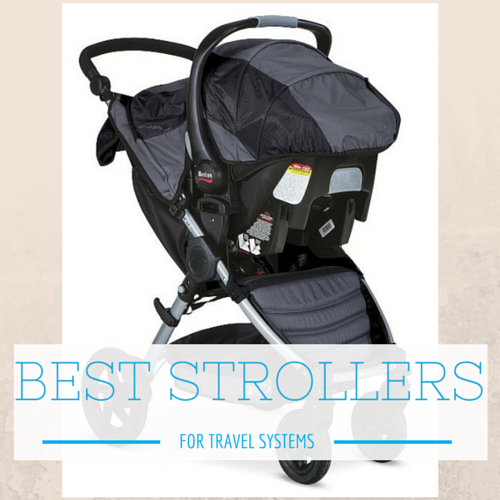 What is your choice for the best stroller for NYC?